Sending a message to the wrong person can be a disaster on Facebook — until now (well... sort of). 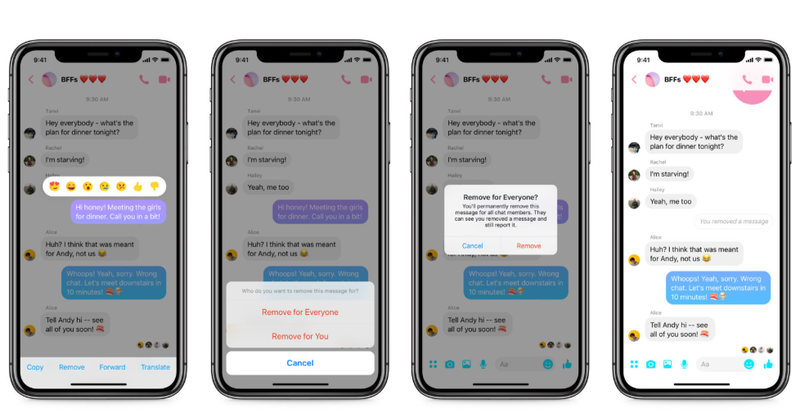 According to TechCrunch, Facebook’s first iteration of its 'un-send' feature has been rolled out in Poland, Bolivia, Colombia and Lithuania, with more countries to follow. The update comes just months after CEO Mark Zuckerberg was caught deleting messages from recipients' inboxes. Users currently have up to 10 minutes to retract a message, with the company indicating that further changes could be made down the line. Among these additional changes could be the option for a user to schedule message purges across their inbox (eg. every six months) or by a per thread (group chat, etc.) logic. This first iteration of un-send functionality is a welcome update, but it’s equally overdue. WhatsApp, Instagram, Gmail and Snapchat are just some of the platforms that have un-send functionality — why did it take Facebook so long to do this? “The reasons why it took so long is because of the server side,” explained head of the Facebook Messenger platform, Stan Chudnovsky, in an interview with TechCrunch. “It’s one of those things that feels very simple on the surface. And it would be very simple if the servers were built one way or another from the very beginning. Hang on a second – couldn’t this be abused? While I have been fortunate enough to avoid being cyber bullied, it’s becoming too common. According to a study conducted by DoSomething.Org (a collection of six million young people), a staggering 43% of kids or teens have experienced some form of bullying online. 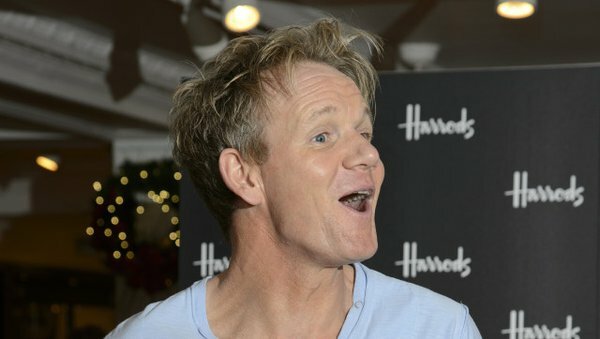 Thankfully, Facebook and Chudnovsky have taken this into serious consideration: if you channel your inner Gordon Ramsay, there will be consequences. 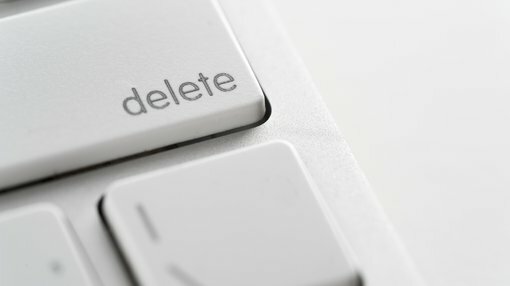 Even though messages can be deleted from chat, Facebook’s servers will retain the message for an extended period of time in the event that the material is offensive. All un-sent messages will be tombstoned (as above), and other users may report them by holding their finger down on the tombstone and hitting ‘report message’. From there, Facebook’s security team can correlate the report with the entry and timestamp data. “The pros are that users want to be in control... and if you make a mistake you can correct it," Chudnovsky said. “There are a lot of legitimate use cases out there that we wanted to enable. [However] we need to make sure we don’t open up any new avenues for bullying.